Hilton Sanya Resort & Spa has appointed seasoned industry professional, Stephen Stoss as the new general manager, the first Hilton Worldwide Resort in China. 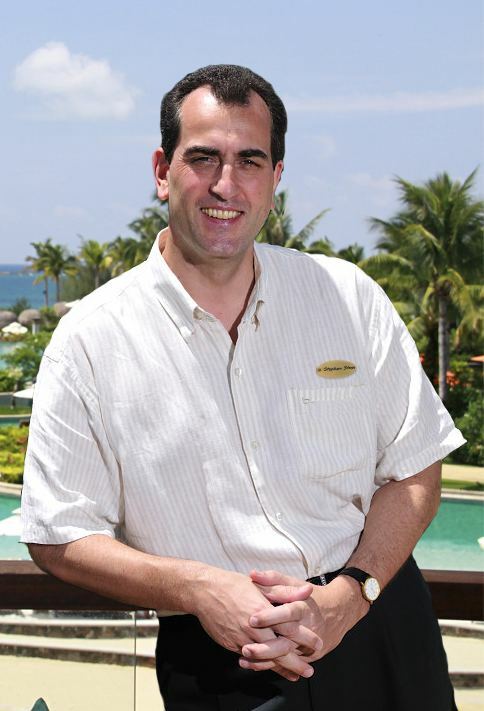 German-born Stephan Stoss has worked in management positions at several international hospitality groups in Hungary, Philippines, Russia, Thailand and China before joining Hilton Sanya Resort & Spa. His fantastic tracking record in managing all respects of hotel operations around the world, especially on sales & marketing and revenue management, will definitely raise the bar for Hilton Sanya Resort & Spa. Elaborating in his appointment, Stephan Stoss said: “This is an exciting time for me to return to Hilton family and lead a stunning property and team. In just a few short years, especially after Hainan got approval to be an International Tourism Island, Sanya has established reputations as one of the most popular holiday destinations in Asia and in the world, with Hilton Sanya Resort & Spa known and recognized among travelers for a top-notch resort with quality service and amenities. We’ll continue to provide 1st class service and unforgettable experience to our respected guests”. The over five-year old resort has received a string of accolades, including Best resort hotels in Greater China 2010 by the Travel & Leisure, Top 5 Resort Hotels in China by Hotel magazine, China’s Leading Spa Resort by the 18th World Travel Awards, and Best Low Carbon Hotels in 2011 by Low Carbon world. Hilton Sanya Resort & Spa features a total of 492 guestrooms, suites and villas. It commands a prime location on 400m of unspoilt beach front at the western end of Yalong Bay, a 35-minute drive from the city of Sanya and 45-minute drive from the international airport. The average room size will be 48.5sqm, with over 50% of the rooms overlooking a wide, crescent-shaped sandy beach and the South China Sea. The remainder has vistas over the surrounding National Park. A 6780sqm Spa Retreat that encompasses a spa with eight treatment pavilions, a fitness centre offering exercise equipment, a reflex zone for traditional massages and foot reflexology, a relaxation area with deck lounges, steam room and sauna, and a tea lounge. Other facilities include seven restaurants and bars, a 3800sqm resort pool resort, two tennis courts, Kidz Paradise, and a one-stop Yalong Bay Adventure Club. The resort also features a detached all-inclusive MICE Pavilion that offers extensive meeting and banquet facilities, more than 3000sqm of space in two storeys as well as two spacious outdoor event lawns. Hilton International has linked up with one of China’s foremost developers, the China Jin Mao Group Co – the company behind the striking Jin Mao Tower in Shanghai. The island enjoys a year-round tropical climate. It offers a treasure trove of activities including fishing, scuba diving, golf, visits to minority villages, cultural sites as well as proximity to the mainland and visa-free access. Infrastructure in Hainan is fast developing, with two international airports, wide railway network and accessible ports. The Island has been chosen venues for several prominent events including Boao forum held every February, Miss World Final competition, the Hong Kong-Sanya International Sailboat Race held every November, Hainan Discovery Triathlon in 2002 and 2003, as well as the recent Golden Rooster Film Awards, Sanya Happy Festival, and more. With more than 500 hotels and resorts on six continents, Hilton continues to be an innovative leader in the full-service hospitality segment and one of the most recognized global names in the industry. Hilton’s belief that Travel Should Take You Places® celebrates a commitment to the guest experience and to the idea that travel can and should be transformative. Hilton’s variety of services, amenities and programs are designed to give guests more choice and control over their stays so they can be at their best, 24/7 whether they travel for business or leisure. Each unique Hilton hotel and resort was designed to reflect the sense of place of its location; each team member chosen to reflect the local culture and community. Start your journey at www.hilton.com available in English, Spanish and French.